Johnsburg, Illinois--Custom built by an international pilot and his wife, The Hickory Estate’s inspiration came from around the world and throughout the United States during the couple’s many travels. The English Tudor’s unique framework was crafted by oak timbers from the forests of Michigan. The soaring timbers accentuate the 28 foot vaulted ceilings and two story peak through brick fireplace in the main great room. The expansive open staircase was built on site from craftsmen in Breckinridge, Colorado. “The details are what make this home so special. When you enter a room, there is a story to tell. Buyers are looking for that unique property that speaks to them, and this is it,” Candace Decker of Decker Realty Group explained. The master bath is comparable to a luxury international hotel suite. The high end finishes include Turkish travertine heated flooring, a double steam shower featuring a German Hansgrohe rain shower, specialty mood lighting, and a Toto Japanese style bidet with heated water. The master also opens up through French doors into the en suite sun room complete with a built in hot tub overlooking the tranquil surroundings. The home also offers a horse stable, home gym, and a large work studio. Located on the edge of Johnsburg and McHenry, the estate privately overlooks vast McHenry County Conservation land. Offered at $675,000, visit www.thehickoryestate.com for more information. 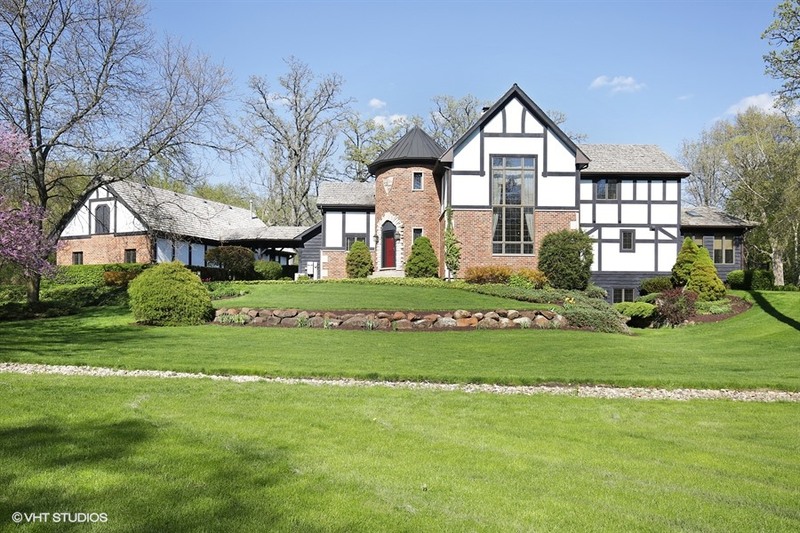 Located in Johnsburg, Decker Realty Group incorporates both traditional real estate principles and innovative marketing strategies to sell properties. For more information, visit www.deckerrealtygroupinc.com or call 800-344-3211.